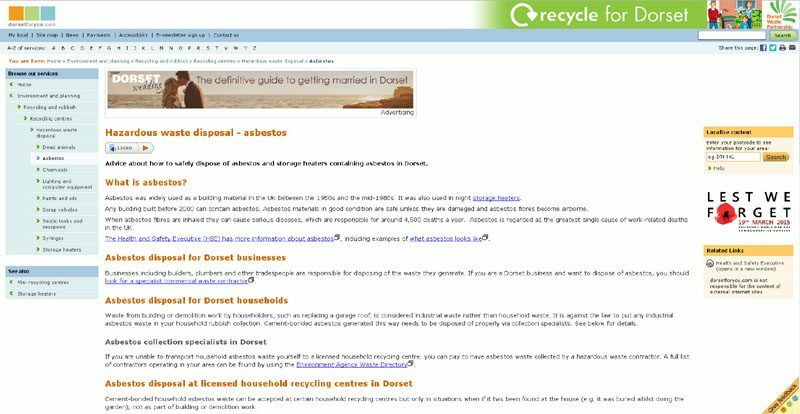 The popular Dorset for you web site has a useful page with links and information to help householders and businesses in Dorset that may have asbestos that they need to deal with. It is against the law to put any industrial asbestos waste in your household rubbish collection. 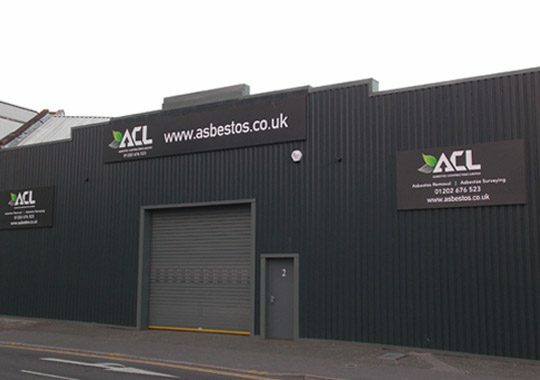 Household asbestos waste can be accepted at certain household recycling centres in Dorset but only in limited situations and not as part of any building or demolition work.